Early this year I did a launch monitor fitting for a new driver and ended up with a TaylorMade R11. My R11 (which has a Diamana Kai’li shaft in place of the stock Blur) has been very good for me. It is certainly more than just another driver with a fancy white paint job. 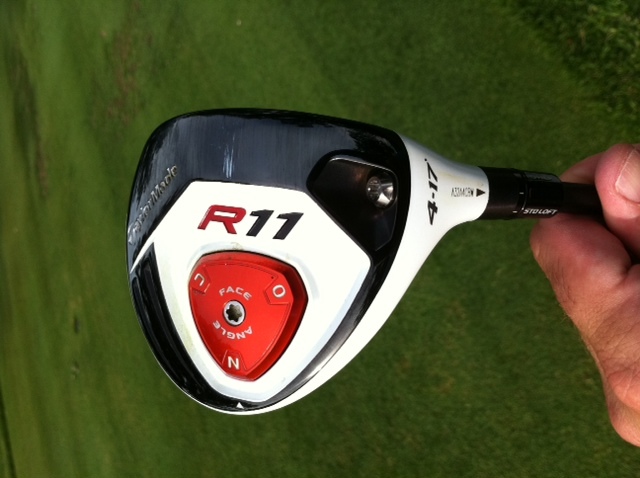 But as good as the R11 driver has been for me, it hasn’t been the biggest club surprise of the year. That would go to the R11 4 wood that I picked up a while back. After two friends said good things about the R11 fairway woods and the 4 wood in general, I made an effort to hit the R11 at my club’s demo day at the end of May. I was pretty much immediately hooked on the club. Why? There are three main reasons. I have struggled to find a really good 3 wood for my game for the past several years. I liked hitting 3 woods off of the tee, but trying to hit them off of a good lie was something of a crapshoot. And I couldn’t even think about hitting it off of a below average lie or out of the rough. I think part of that is because of the ever growing size of 3 wood heads. With each generation of club, manufacturers have made heads larger. The problem for me is that I would then kind of bounce the club into the ball — not exactly the ideal contact. The R11 4 wood head is 135 cubic centimeters vs. 155 cc for the 3 wood and 175 cc for the titanium version of the 3 wood. There was a time 20 years ago when drivers were less than 200 cc. I like the smaller head of the 4 wood. I have more confidence with it and I don’t feel like I need a perfect lie to hit it. I no longer have great anxiety about hitting a fairway wood out of a decent lie in the rough. This might be the biggest reason why I like the club. While I don’t like to not release the club and hit a high right block, I loathe the low left shot. This club seems to hate the snap hook as much as I do. I pretty much goes high and straight. If anything, I find myself fading the ball a tiny bit. If I really swing hard, I can move it a tiny bit from right to left. That makes this club so much more valuable for me. In the past, I rarely hit fairway woods on par 5s. I would do it if I had a chance to get it on the green. If I didn’t feel like I could get there in two, I would usually just hit a layup to a spot where I could hit a full pitching wedge or gap wedge into the green. My thoughts where that that was a much smarter play than trying to hit a 3 wood, hooking into more trouble and then having to battle my tail off to make par. I have hit the 4 wood quite a bit more than the 3 wood. Last night, for example, I hit it on my second shot on the sixth hole at my course. I had about 245 to the middle. I knew I probably couldn’t get there, but I could get close. I ended up in a greenside bunker in two. That was fine. This club, as you can see by the picture above, is 17 degrees. 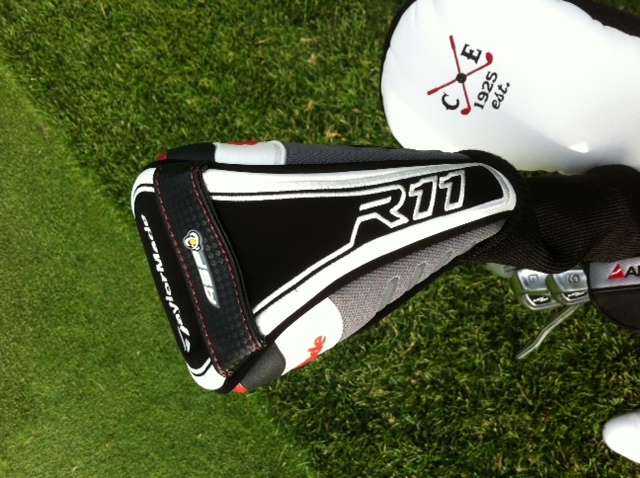 The R11, however, lets you take the head off and adjust the loft. I actually have it at 16.5 degrees and have considered dropping it even further to 16 degrees. 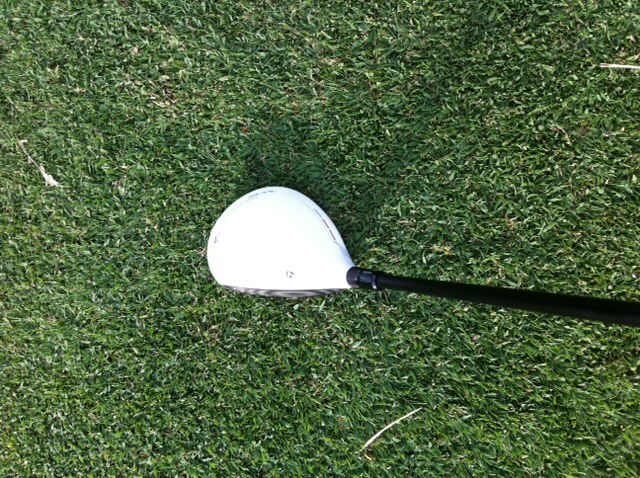 I like that flexibility from the standpoint of being able to have standard gaps between my fairway wood and my hybrid. I am considering a hybrid switch as my current model wants to go left a little too much. What I do there will impact what I do with my 4 wood. I also think the ability to adjust the club is great for dealing with long par 3s on a course you play on a regular basis.Would a half degree more or less of loft make the club a better fit for a par 3? If so, it’s probably worth making that adjustment. Conclusion: If you are looking for a new fairway wood, I would give the R11 serious consideration. It’s pretty forgiving, it feels very solid and wants to fly high and straight. I am a big believer that certain clubs are better for certain players, so I don’t believe one club is a must-buy for every player. But I will go as far as to say that the R11 fairway wood is a must-try or a must-consider. How good is it? As good as the R11 driver is, I think the fairway wood might be better.